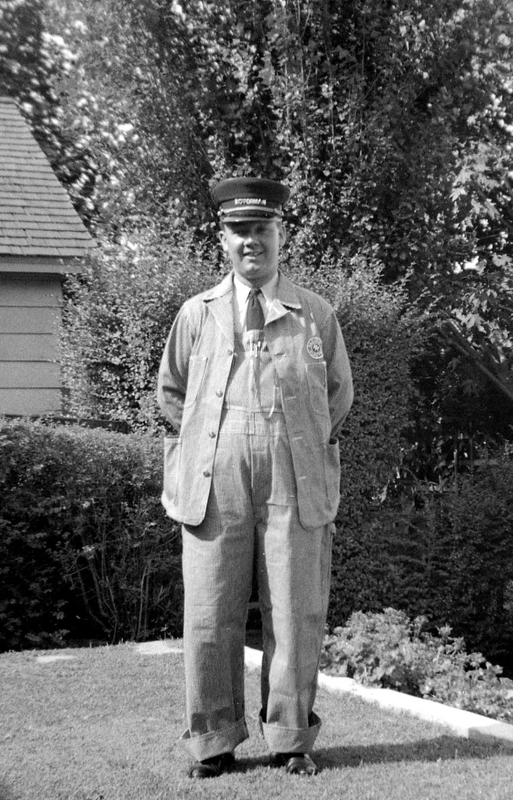 William Wherry – known to all as Bill – poses for a photograph taken by his wife in the yard of their first home in South Pasadena, in 1937 or 1938. 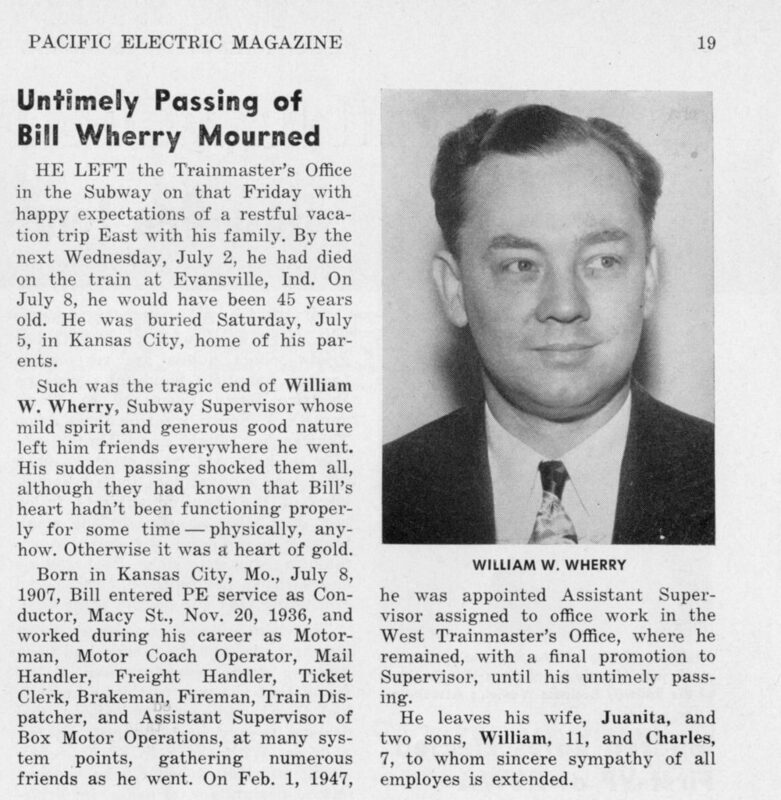 Below is a clip from the August 1952 issue of Pacific Electric Magazine, noting the passing of William Wherry. From the PERYHS Archives. I live in Bothell, Washington where I work as a locomotive engineer for BNSF. I began my railroad career in October 1962 as a brakeman on, what else?, the Pacific Electric. Of course it was then and had been a freight only operation since selling the passenger business in 1953. I soon left PE in November 1962 choosing instead to fulfill my dream of becoming an engineer on the ‘High Iron’ of PE parent company Southern Pacific. Many of the men I worked with in my short stint at PE knew my father and it was with some misgivings that I left the ‘family’ of PE. I was promoted to engineer in 1970, left SP in 1979 for the great northwest of BN and of course the rest is history. Thanks, Charles, for your story.